Almost half of all couples get engaged over the holiday season. That makes January the perfect time for couples to kick start their wedding planning. And what better way to get inspired than at the Today’s Bride Wedding Shows! Each year, the Today’s Bride team gathers quite an impressive group. 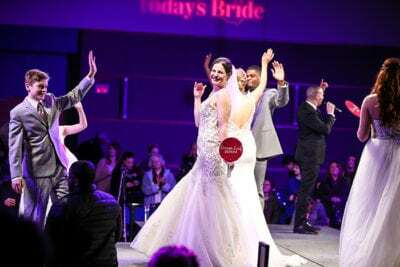 Vendors come from all over Northeast Ohio for the annual bridal expos at John S. Knight Center and the I-X Center. These shows attract thousands of engaged couples from all over the region and the Rock The House team made sure we were more than ready to “WOW” them! Our 2018 I-X show booth featured three display monitors, a gorgeous chandelier, uplighting, and a low-lying fog effect to make guests feel like they were walking on clouds! 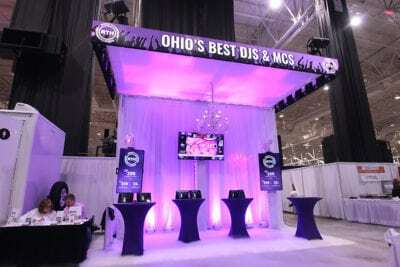 Our brand-new LED wall panels lined the top of our booth in a “ticker” style and were the perfect way to showcase the RTH Weddings signature logo, exclusive show specials, and information about our services. Inside the booth, our team of friendly wedding professionals answered questions and helped couples to plan their special day. 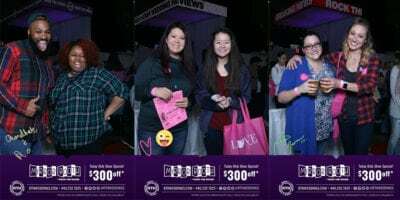 Across the aisle from our booth, you could find guests enjoying our Mirror Photo Booth, an interactive, state-of-the-art photo station that captures guests’ memories as they stand in the reflection of a full-size mirror! This novelty also prompts users to doodle and sign their masterpiece once it’s taken and allows the photos to be printed live on-site, sent digitally via SMS or email, or directly posted to social media accounts like Facebook, Instagram, and Twitter. 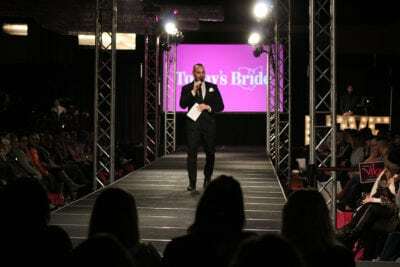 Our corporate audiovisual division, RTHAV, is also a proud sponsor of the Today’s Bride fashion show, providing production, audio, lighting, and staging for the event. In addition, our in-house party band, Rock The House LIVE!, kicked off each fashion show with a high-energy performance to get the crowd excited. The two-day expo featured a total of six fashion shows, so our team worked diligently to ensure the production went off without a hitch. Our MC with the most (and recent celebrity), Nick Duve, hosted each fashion show, welcoming guests, playing interactive games, and announcing the featured outfits and sponsors. As the models hit the runway, DJ Flightz, spun the hits and kept the energy up. Guests viewed gorgeous dresses by David’s Bridal, Lavender Bridal Salon, and American Commodore Dress Shoppe, as well as dapper tuxedos by American Commodore Tuxedo and Men’s Warehouse. Hair and makeup was provided by La-Freya Beauty and flowers were by Hirt’s Greenhouse. 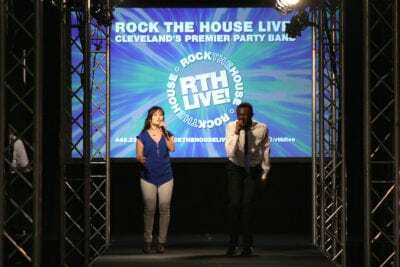 From weddings to fashion shows, and every event in between, Rock The House can do it all! To learn more about how you can work with our team of event professionals, visit our contact page by clicking here!